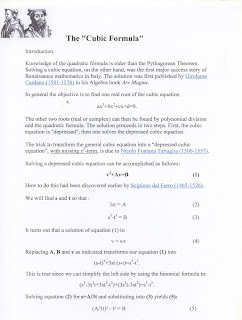 This explanatory note deals with the solution of the Powerbalance for Cycling which is a third degree equation. 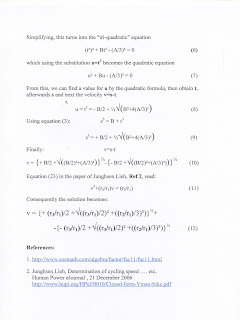 In this note the background of solving equation (23) of Junghsen Lieh's paper in Human ePower Journal of december 2006 is provided. However the solution is different but proven to be correct.